Milan, IULM University, Jan 20 2016 (IPS) - “We are the first generation to feel the impact of climate change, and the last generation that can do something about it.” This is the most significant concept of what USA president, Barack Obama, said during the opening day of 2015 Paris Climate Conference (COP21). This conference, for the first time of over 20 years of UN negotiations, aims to achieve a legally binding and universal agreement on climate. All the adversities our world is witnessing and facing in this period, triggered by the terrible Paris attacks on November 13th, have not obtained to hinder most powerful and influent political figures of the contemporary world to sit together in Paris, to face what Vladimir Putin defined “the real humanity common enemy”: climate change. This is the only threat that doesn’t really know any frontier, rules and limitation and affects all of us. It’s time to turn our nationalism contrasts and interests into a new perspective of globalization. Not centred in business, but in a sane community policy of cooperation, exchange and sharing of sustainable values, resources, information and solutions due to carry us to a new equitable balance. Obvious, it seems easy to say. But if we think about the huge size of the effort that this challenge is asking to all of us, it would be easier to be able to make one more step to a concrete cooperation. 1- The negotiation of a universal agreement to increase the aim of keeping global warming below 2°C. 2- The presentation of the program of all the single States, to show that they’re moving forward together in the same direction. 3- The financial aspects, functional to allow developed and developing countries to achieve their goals before and after 2020. 4- The commitment of civil society and non-governmental stakeholders in order to start with common concrete actions. But what population will get from all these purposes and all these data? How could we benefit and act in consequence of what our leaders are arguing and according in this fundamental moment of human history? Obviously nobody can have the 100% of what it was expected. When 196 parties try to get a common deal in a so complex theme, each one asks for the 100%, but many of them could receive zero%. For this reason everybody should be able to accept some compromises. 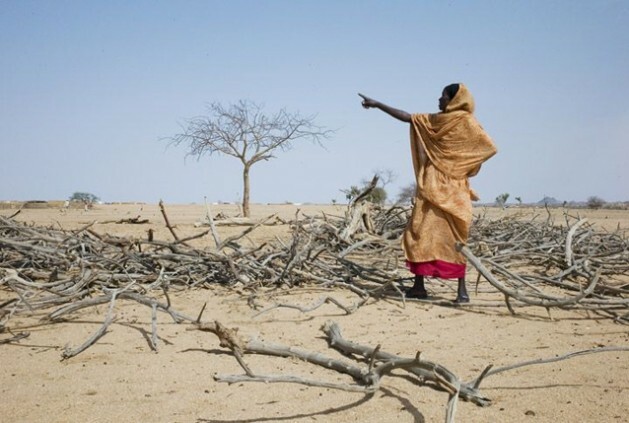 The most vulnerable countries to the effects of climate change have prayed for an ambitious agreement, which should have been respectful for human rights. In fact, these countries are the most exposed to natural catastrophes, moreover UN predict that 250 million migrants will leave these lands by 2050. There are hundreds of billions dollars ready to deploy to countries around the world if they get the signal that we mean business this time. Maybe people is already prepared to accept and put in practice these new rules, everyone of us singularly knows how to act and most of us are already facing the problem in a concrete way, doing its part. At the same time it’s not so easy to believe to the words of our governors, a common solution is difficult to find if any state doesn’t think out of its box. For instance, Xi Jinping, president of China, has declared that his country confirms its goal of reducing emissions of greenhouse gas of 70% by 2030. But at the same time he asks for a differentiated responsibility, in order to protect legitimate countries needs and to allow developing countries to achieve their goals of social and economic grow. The vast majority of the countries, especially Southern ones, submitted plans of action to reduce emissions; Nicaragua, for instance, is refusing to do so and then symbolically objecting to the final draft – after it was approved – on the ground that “rich nations” are not doing enough to protect “Mother Earth”. They don’t want to pay for what other countries did. India seems to be on the same way. As we know, it is a developing nation, its prime minister Narendra Modi professing satisfaction that “justice” had been done, which included acceptance of his plan to construct some 455 coal-fired power stations, over 100 more than China. These countries are accepting these new regulations, but it has been considered their moment of high developing and so they’ve been allowed to have larger times for their application. Russian government declared to be one of the first states of the world that has reduced its gas emissions, achieving a strong delay of the increasing temperature warming, being at the same moment one of the biggest exporters of gas and petrol oil. About Italian situation, Prime Minister Matteo Renzi declared that Italy has reduced the emissions of about 23% in the last 20 years, but at the same time, in Italy, Pianura Padana represents the most polluted zone in Europe and the second in the world. He promised 4 billion euros destined to Italian corporations as Eni and Enel until 2020, while the same companies are digging new oil fields all around the world. Until now, people only watched climate changes instead of changing our habits and trying to anticipate it. Our generation has born exactly in the middle of this process and for this reason is charged of a big responsibility: to create a bridge between past and future, melting all the values and perspectives, in the present. We’re completely conscious about the importance of the consequences of our actions, we learnt to watch behind us to give to the next generations, and to our beautiful Heart, what they deserve. Every one of us represents the present and the future of the world, now we mustn’t ignore it.